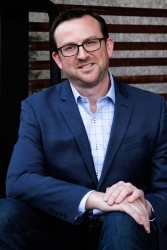 Denver, CO, January 07, 2019 --(PR.com)-- RedPeak, one of the most respected apartment owners, acquirers, managers and developers in Denver, is pleased to announce the addition of its new Chief Operating Officer – Jared Miller. Miller’s wide-ranging experience in multifamily operations, development, acquisitions and asset management for a broad range of multifamily classes will complement RedPeak’s anticipated growth and significant expansion plans. Earlier in his career, Miller served as Director of Marketing for RedPeak from 2005 until 2007. “We are thrilled to have Jared’s operational expertise back at RedPeak. We feel our company has the best talent in the Denver market and adding Jared will prove instrumental in making our organization even better. His background in development, asset management, operations and marketing will enhance our culture and ensure future success,” says Mark Windhager, CEO. Miller’s background is expansive and diverse, encompassing conventional and student product types in a wide variety of markets and submarkets. In 2010, Multifamily Executive Magazine named him its inaugural Rising Star of the Year. Miller is regularly called on to share his expertise at Industry events and serves as an advisor to numerous multifamily conferences. Miller served most recently as Co-Founder, Principal and Managing Director, Asset Management and Operations for Homestead Development Partners with a focus on developing and acquiring student housing and conventional apartments. Since its inception in 2001, RedPeak has been a privately-held real estate company with a singular equity partner – Partners Enterprise Capital (PEC). PEC will continue to invest in RedPeak in the future and, along with key executives within RedPeak, will remain its sole equity investors. RedPeak focuses on acquiring, repositioning and developing in Denver’s highly desirable urban neighborhoods while also seeking investment opportunities close to major employment and transportation hubs. RedPeak is a vertically integrated multifamily investment company with an exclusive focus on Colorado. RedPeak has deep roots in the Denver community and provides best-in- class living environments for our residents and an excellent working environment for our team members through our unique culture that prioritizes engagement and balance. RedPeak is a full-service apartment owner, operator, developer and acquirer with an exclusive focus on Denver and Colorado’s Front Range. The company continually upgrades the value of its portfolio through the thoughtful development, redevelopment and repositioning of its assets. RedPeak strives to provide distinctive, highly amenitized residences close to key employment centers, public transportation and entertainment districts. RedPeak’s portfolio is comprised of more than 2,300 apartment located in Capitol Hill, Cherry Creek, Downtown Denver, Governor’s Park, Greenwood Village, Hilltop, Littleton, Uptown and Washington Park. Its current portfolio includes iconic communities including 1000 Grant The Burnsley, 7/S Denver Haus, 1044 Downing, The Seasons of Cherry Creek and RedPeak Colorado Station. For more information, visit RedPeak.com.